Usually in California, when a driver rear-ends another car he is determined to be negligent, though there are some exceptions. A tire goes flat on the car in front but the driver doesn’t put on the flashers or pull over. The driver of the car that got rear-ended would most likely be found at least partially at fault of causing the accident in all these cases. To prove that the driver who rear-ended you was negligent, you must establish that he breached his duty to use proper care and caution when driving. Not yielding the right of way when required. 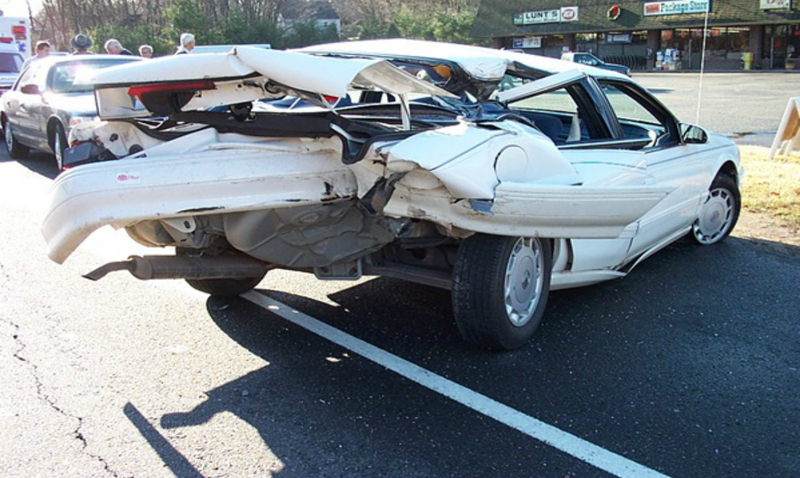 You must prove to the court or jury that the driver who rear-ended you breached his duty and caused the accident. You also must show that you had actual losses or damages, things like injuries or vehicle damage because of the accident that the other driver caused. A common and very dangerous type of rear-end accident is when a driver is stopped at a red light or a stop sign. There could be more danger in this type of accident than if the vehicle was moving because the car is at a standstill and absorbs the full impact. Also, the car that hit you in the rear may not have caused the accident—he too may have been struck in the rear, propelling his car into yours. You may be eligible to sue all the drivers involved in the crash. In the case of rear-ending accidents, the driver doing the rear-ending almost always is found at least partly if not wholly negligent. As you read in the California Vehicle Code above, drivers must maintain a safe distance. Sometimes cars have to come to a sudden stop because of traffic conditions or road hazards. That said, the CVC does not codify who is at fault, so the police officer who responds to the accident usually is called upon to do so. All the officer has to do is look at one vehicle’s rear end and the front end of the other vehicle to see who hit whom. But if one of the four exceptions listed above was involved in the accident, and the driver who got rear-ended was partly at fault, the jury may issue a decision based on comparative negligence. If the jury finds the driver who struck you in the rear end of your auto was 70 percent negligent, and you were 30 percent negligent, you would take 70 percent of the damages. So if the award were $100,000 you would take $70,000. The fact is, insurance companies sometimes balk at paying damages and medical bills even if you were fully insured. You should always consider hiring a lawyer to pursue a lawsuit or other legal recourse, especially if you were injured in a car accident. This is doubly true if someone else was negligent, as is the case if you are the victim of a rear-end accident. You may have medical bills, time off work, pain and suffering, car damage or a totaled vehicle that you can recover compensation for. Also, if you have lost a loved one in a car accident, you may have cause for a wrongful death lawsuit. 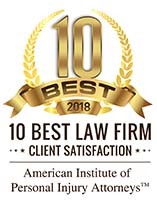 At Krasney Law: Personal Injury Specialists in San Bernardino, serving all of California, your initial consultation is free. And while people sometimes balk at paying attorney’s fees, remember Krasney law charges no fees unless you make a monetary recovery or your case goes to trial. And when we win an award for you, even after we take our fee you in all probability will win more money than if you had tried to negotiate a settlement with your insurance company on your own. 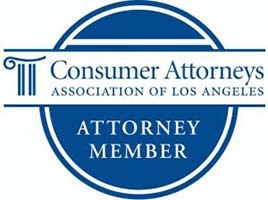 Our phone number is (909) 380-7200, or you can contact us on the Web: http://krasneylaw.net/contact-us/. Previous Post: Should Bikers Swerve, Brake or Ride Right Over an Object?